As New York City continues to contend with its affordable housing crisis, elected officials and city planners must use every tool at their disposal to make our city accessible to all citizens. In addition to continually expanding the resources made available to create and preserve affordable housing, we must also try to find innovative ways to reduce construction costs and transform the construction process. That’s why the New York State Association for Affordable Housing is so encouraged by the Department of Housing and Preservation’s (HPD) recent announcement to advance an affordable housing modular construction program. 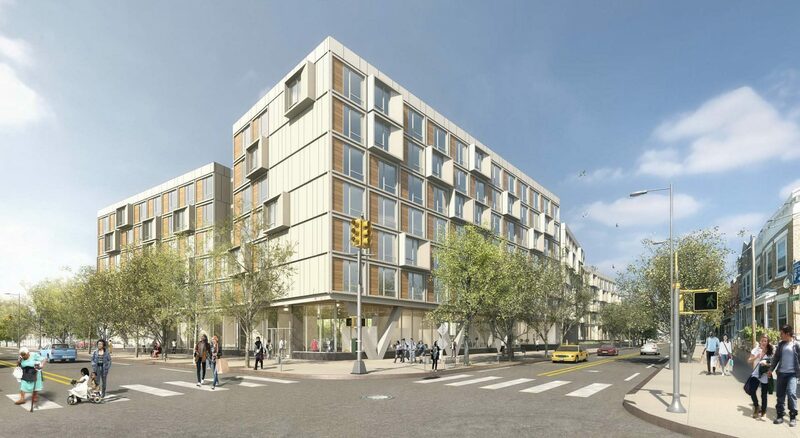 A new project at 581 Grant Avenue in Brooklyn’s East New York neighborhood (rendering top) is among the first affordable housing projects financed by HPD that will be built using the prefabricated method. The plan from Thorobird Cos. and its local nonprofit partner Bangladeshi American Community Development & Youth Services will create 167 new affordable housing apartment units on the city-owned land. New York also utilized modular construction for affordable housing back in 2015, when Monadnock Development built the city’s first modular micro building on East 27th Street at Carmel Place. Since then, there has been little momentum largely because delivering pre-fabricated buildings through dense urban environment remains a significant challenge, especially if factories are located far away from the city. But it seems that is changing. New York City developers are increasingly using the method to construct hotels and apartment buildings. It is encouraging now to see these methods extend into the affordable housing industry here as well. After all, other cities facing affordable housing shortages in the United States and around the world use the prefabricated construction method to build modular affordable units. Cities like London, Vancouver, Denver and Boston have all tried to tackle their own affordability crises by utilizing modular construction. The method is growing in popularity globally primarily because experts agree that it provides solutions to traditional challenges. Because most of the production process takes place indoors, weather disruptions are limited, and construction is made more predictable. HPD and the development team estimate that utilizing the method will shorten the construction timeline by 25-30 percent. A shortened, predictable timeframe also has the added benefit of reducing overall project costs, which are expected to decline further as the technology scales. 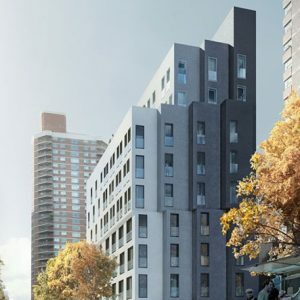 Modular construction is a trend in the industry worldwide – and its use in New York can positively benefit the countless New Yorkers in need of affordable housing right now.